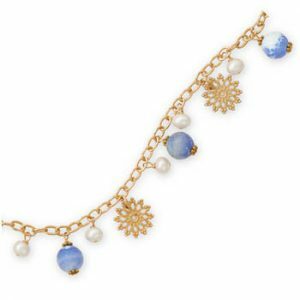 This charming bracelet set with crystal beads is a truly magnificent accessory for your wrist. 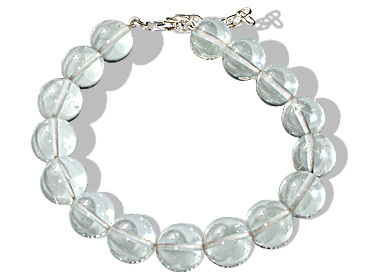 The dazzling and crystal clear beads cast a magical reflective effect on the wrist as light passes through the beads. This charming bracelet set with crystal beads is a truly magnificent accessory for your wrist. 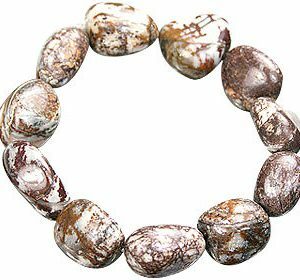 The dazzling and crystal clear beads cast a magical reflective effect on the wrist as light passes through the beads. Length is 7″. Closes with a silver lobster clasp.